It has been awhile since our last Brown Paper Tickets guest post. The past few months have been a blur with lots of big things happening with Comedy Outliers. This year was very eventful in regards to the changes we experienced both good (being involved in the New York Comedy Festival) and bad (losing our main venue), but we have come out the other side feeling very confident for the new year. We’d like to share event tips and lessons learned from 2014. Always be ready to promote yourself. We learned to share our brand with new people we meet. Carry business cards, be prepared to speak about your credits and don’t forget to keep promoting. Each event we produced presented new networking opportunities. We tried to meet everyone in the room, from the waitstaff to audience members and cooks. You never know who someone knows. This year, networking led to working with Yelp, Webster Hall and Comedy Central. Trying to book talent for our show can be exhausting, even if it’s just on a monthly basis. There are specific comedians that we reach out to who are frequently unavailable to perform either because of conflicts, or unsure of their commitments that weekend. Eighty percent of the time, the comic will ask for us to reach out with a future date. Do they really intend to perform on our following show? We’re not always sure, but we still follow up. This has led to us booking some pretty impressive acts and gotten us on popular podcasts like Robert Kelly’s “You Know What Dude?,” “Keith and the Girl” and the Anthony Cumia Show. We experienced a few bumps in 2014 when it came to working with venues and managers to host our monthly showcase. 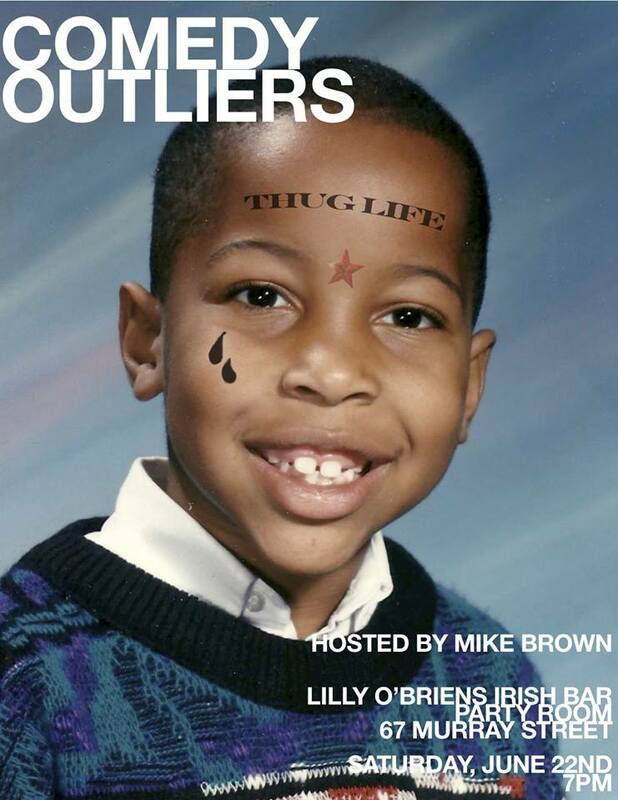 Whereas at our original stable, “Lilly O’Briens” we worked directly with the owner, we found ourselves working with managers who believed in our “Outliers” shows, but the venue owners did not. This led to us having several one-offs at various venues throughout the year, which was exhausting and trying on our confidence. Our fans’ consistent support, despite venue changes helped us get through these hiccups. This year, we began charging a small cover for our shows, changed venues several times, and took part in the New York Comedy Festival. We made sure our audience understood why these changes were happening and ensured them that our shows would maintain the same level of “Comedy Outliers” quality. With our recent New York Comedy Festival showcase, it was extremely important for us to tell our faithful audience how wonderful it was to have had their support over the past two and a half years. Allowing our audience to feel a part of our achievements was rewarding for us and them. It creates a sense of community that will hopefully drive us to even greater heights in year three. With the year wrapping up, it’s fitting that our upcoming holiday showcase brings us back to where it all started: Lilly O’Briens. Lilly’s has moved to a new location down the street from their prior spot, but like us they have bounced back and are ready to host our amazing show. So come out this Saturday night and have a drink and a laugh with us. 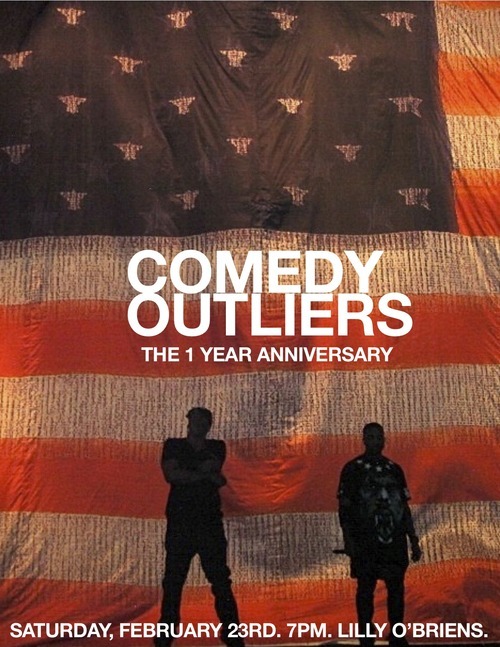 Tags: Comedy Outliers, Mike Brown, stand-up comedy. 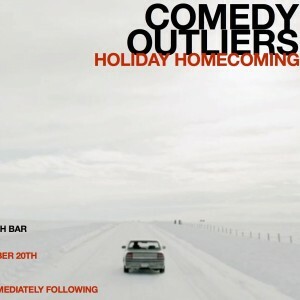 The Comedy Outliers have a show coming up this Saturday, September 21 at Lily O’Brien‘s in New York City. Their shows are free but we highly recommend you pick up tickets so you don’t show up to a full house. Sometimes in partnerships, especially creative ones, you have conflicts. As in any pairing there are times of joy and success (which we have often talked about in past blogs) but sometimes there are disagreements and creative tensions. 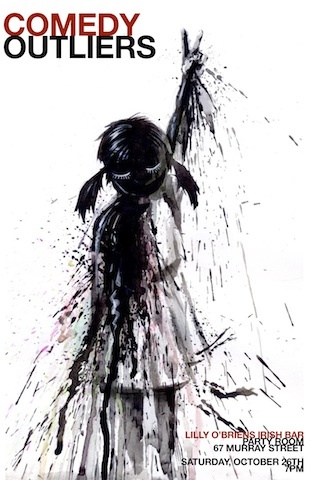 When you are a creative person you sometimes focus on your own specific ideas and needs. This can be tough when you are in a group or partnership that relies on compromise and equal focus. Tags: Brandon Collins, Brown Paper Tickets, comedy, Comedy Outliers, Lily O'Brien's, Mike Brown, partnerships. Comedy Outliers: Step Up Your Networking Game! The Comedy Outliers have a show coming up TONIGHT at Lily O’Brien‘s in New York City. Their shows are free but we highly recommend you pick up tickets so you don’t show up to a full house. We are often commended by fellow comics and show producers on our networking game. That’s a pretty good indicator that we are effective in getting the word out about our “Comedy Outliers” brand. That’s how good planning and understanding each other’s strengths and weaknesses pays off. Mike Brown is out in these streets meeting everyone and their mother telling them about this great monthly showcase he co-runs. Brandon Collins reads everything he can about successful marketing strategies to make sure the brand is reaching the masses. We both also give out hugs to those that come out to support what we are doing. What? Hugs are free. And soft when you use the right kind of fabric softener. 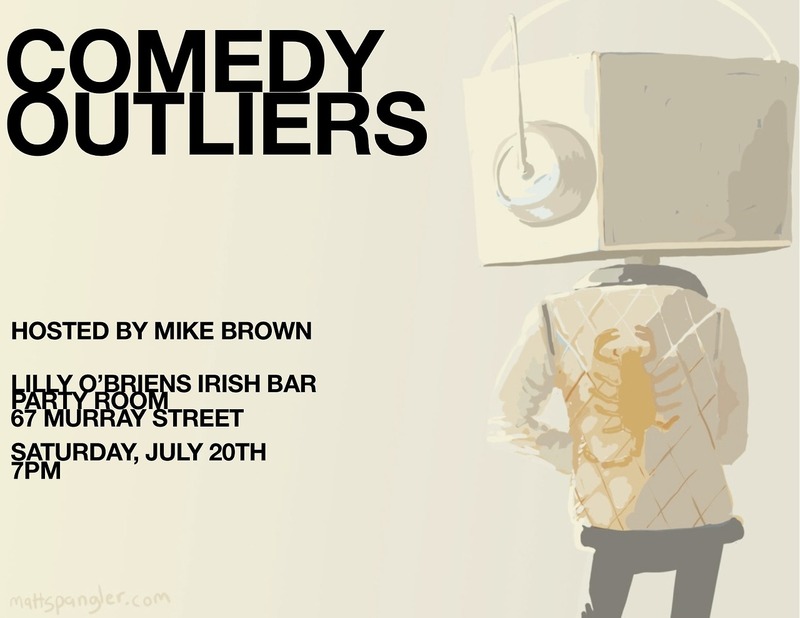 Tags: Brandon Collins, Brown Paper Tickets, comedy, Comedy Outliers, Lily O'Brien's, Mike Brown, neworking. 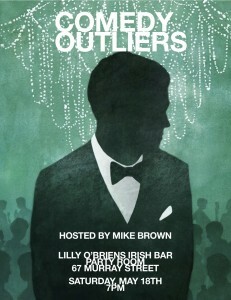 The Comedy Outliers have a show coming up this Saturday, July 20 at Lily O’Brien‘s in New York City. Their shows are free but we highly recommend you pick up tickets so you don’t show up to a full house. 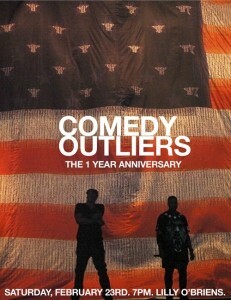 “Oh yeah, ‘Comedy Outliers’! I heard that’s a great urban show!” This is occasionally something we will hear from comedians who we mention our successful free monthly show to. These are comics who have not been to our show before but only know of it through positive word of mouth or the promotional pictures we post on our website and other social media platforms. This is unfortunate, not because we don’t want to be labeled an “urban” show but because one of our main priorities is to be the most diverse comedy show in New York City. Being marginalized doesn’t help us achieve that. We welcome performers that appeal to all spectrums of humor: mainstream, urban, alternative and dry. We also pride ourselves on the ability to draw an audience of different ethnic and religious backgrounds. This is why comics enjoy performing at “Comedy Outliers” so much. Because it is the true test of their comic material and if their punch-lines hit at our show, they know they’ll hit anywhere. Tags: branding, Brandon Collins, Broken Comedy, Comedy Outliers, Lily O'Brien's, Mike Brown, urban comedy. Comedy Outliers: That’s A Brand Name! 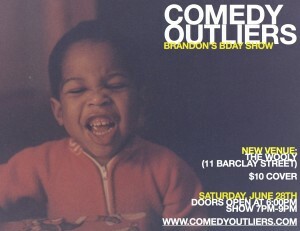 The Comedy Outliers have a show coming up this Saturday, June 22 at Lily O’Brien‘s in New York City. Their shows are free but we highly recommend you pick up tickets so you don’t show up to a full house. We were recently hired to produce a private comedy show for a private organization that had an active membership of over one hundred people. The representatives who hired us had been to our “Comedy Outliers” show multiple times and were hoping we could bring the same fun, high grade comedy to a private fundraising event they were having for their group. We were very excited by this opportunity and worked very hard to book a venue that could comfortably accommodate their group size and talent that was catered to their preferences. All in all, we were thinking that it would be exactly like a standard “Outliers” show, which we hold in the highest regard. Tags: American Gangster, Brand, Brandon Collins, comedy, Comedy Outliers, Frank Lucas, Lily O'Brien's, Mike Brown, reputation. 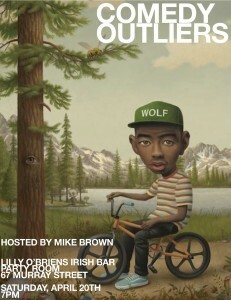 The Comedy Outliers have a show coming up this Saturday, May 18 at Lily O’Brien‘s in New York City. Their shows are free but we highly recommend you pick up tickets so you don’t show up to a full house. 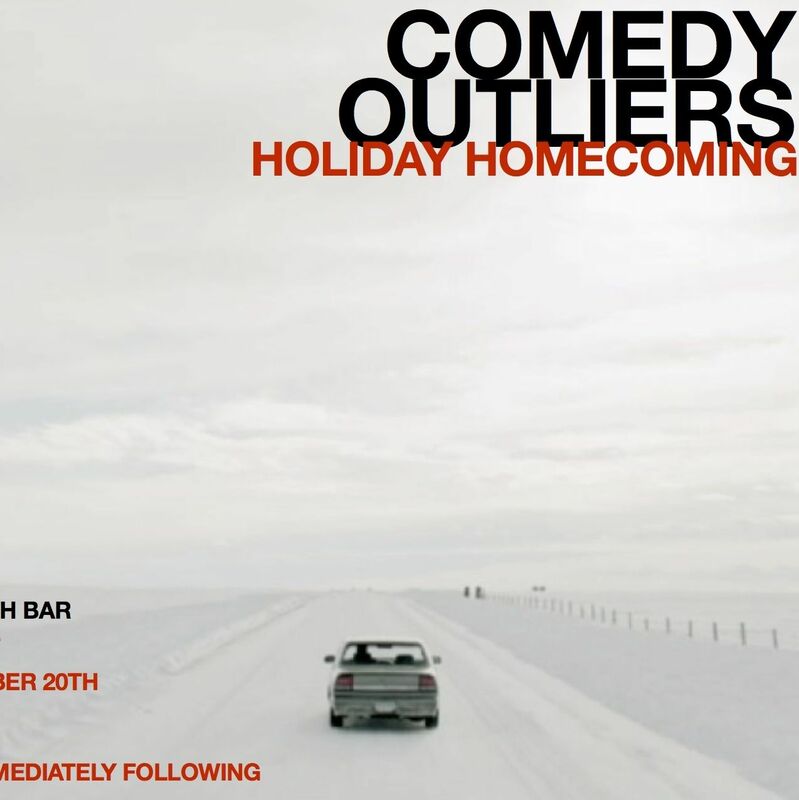 When we at Comedy Outliers produce a show and say “You’ve been such a wonderful audience” – we mean it. A wonderful audience member is appreciated and always welcomed to comedy shows! Here are a few ways you can make sure you’re one of the wonderfuls. Why would you have them on anyway? Pay attention! It’s a LIVE show! You silence your phones before a movie starts, and it’s a movie. Unlike a movie, a comedy show is with real people who can’t afford to ignore you (on screen or on the street). In the crowd, you may whisper “That’s the funniest comedian I’ve ever seen. I want to support them financially forever.” On stage, all a comic hears is “Blah blah blah – I don’t like this person’s show so I’m going to talk through it.” Comics are insecure! Don’t talk. We’ll think it’s a heckle. Or talk, if you WANT to heckle and leave the show in tears. Don’t invite that negative energy into a show. 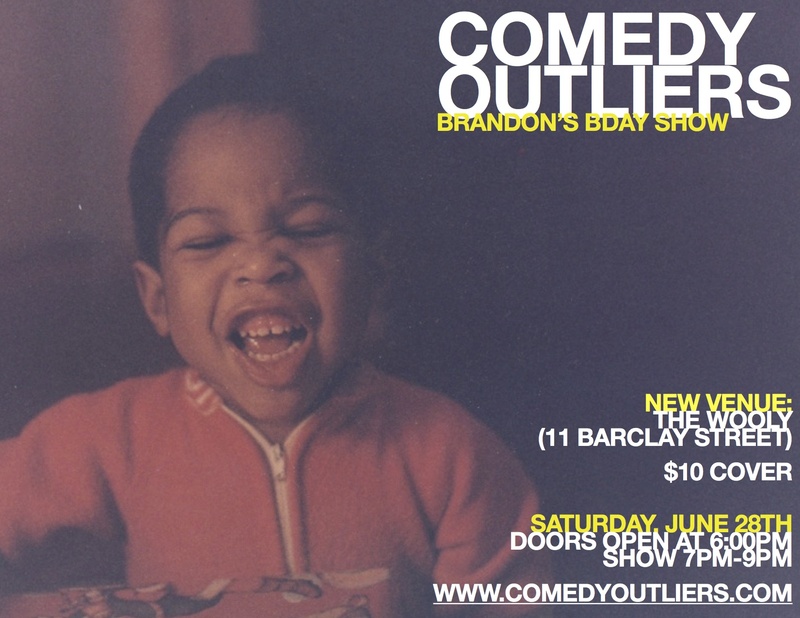 Tags: Brandon Collins, comedy, Comedy Outliers, Lily O'Brien's, Mike Brown, Stand Up.